Tricia L. Legittino is a partner in the Litigation and Employment Groups at Frankfurt Kurnit. An accomplished trial lawyer with more than 20 years of experience, Ms. Legittino helps businesses and individuals resolve a wide range of litigation matters. 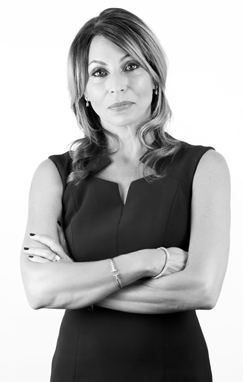 Her practice includes complex commercial and civil litigation, employment litigation and counseling, commercial lending and real estate litigation, and securities fraud and other white collar criminal defense. In her employment litigation practice, Ms. Legittino defends employers facing employment claims in federal and state court. She also counsels businesses on the proper hiring and firing of executives and staff, handbook policies, employee classification, and other compliance matters. In her securities fraud and white collar defense practice, Ms. Legittino represents both broker-dealers and brokers in investigations before Federal Grand Juries, the Securities and Exchange Commission, the New York Stock Exchange and the Chicago Mercantile Exchange. Ms. Legittino has also successfully represented clients in numerous arbitrations before the Financial Industry Regulatory Authority (formerly the NASD) and the National Futures Association. In her commercial lending and real estate practice, Ms. Legittino represents national, international and community banks, private lenders, and real estate firms and brokers. She also defends creditors against claims of lender liability, negligence and wrongful foreclosure. Ms. Legittino frequently lectures on legal issues for the Western Independent Bankers Association, the Commercial Real Estate Finance Council, and other professional associations, and has been quoted in publications such as Law360 and California Banker. Prior to beginning her career in private practice, Ms. Legittino served as an Assistant Illinois Attorney General in the Criminal Prosecutions Division, where she prosecuted jury and bench trials in tax evasion, theft, fraud, and other criminal matters. She also served as a Deputy Bureau Chief of the Sexually Violent Persons Bureau of the Illinois Attorney General's office — the youngest person ever to hold that position. Ms. Legittino is licensed to practice law in both California and Illinois. Tricia L. Legittino speaks on the “Legal Requirements and Implications Regarding California’s Illness and Injury Prevention Program” panel during the Association of Independent Commercial Producers Safety Town Hall.